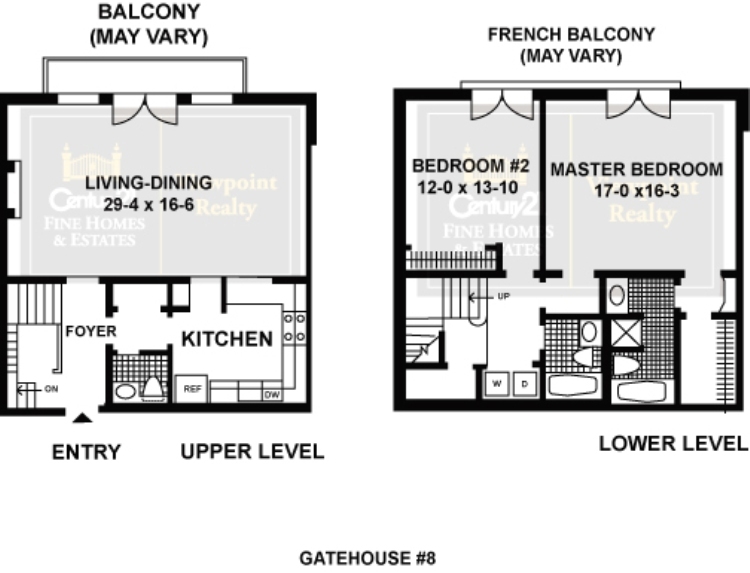 Phase I -- Gatehouse Residence #4 Two bedroom, two bath 1550 sf condo. Maintenance includes heat, hot water and garage parking. 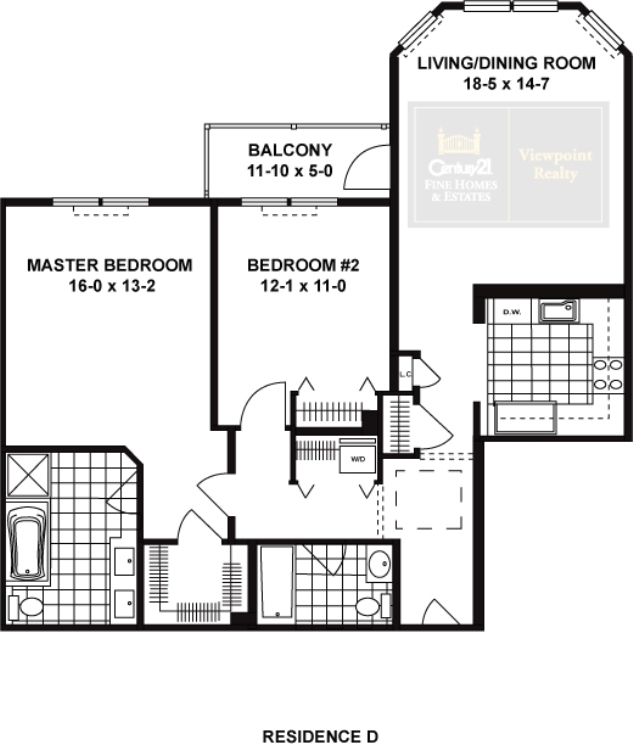 Phase I -- Gatehouse Residence #5 Two bedroom, two and one-half bath 1740 Penthouse Duplex with vaulted ceilings and wood burning fireplace. Maintenance includes heat, hot water and garage parking. Phase I -- Gatehouse Residence #6 Two bedroom, two and one-half bath 1500 sf Penthouse Duplex with vaulted ceilings and wood burning fireplace. Maintenance includes heat, hot water and garage parking. 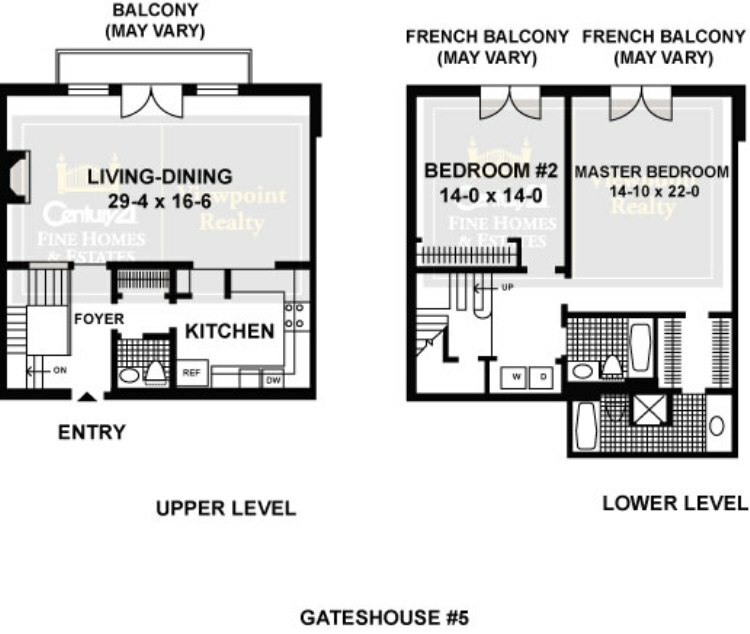 Phase I -- Gatehouse Residence #7 Two bedroom, two and one-half bath 1660 sf Penthouse Duplex with vaulted ceilings and woodburining fireplace. Maintenance includes heat, hot water and garage parking. Phase I -- Gatehouse Residence #8 Two Bedroom, two and one half bath 1660 sf Penthouse Duplex with vaulted ceilings and wood burning fireplace. Maintenance includes heat, hot water and garage parking. 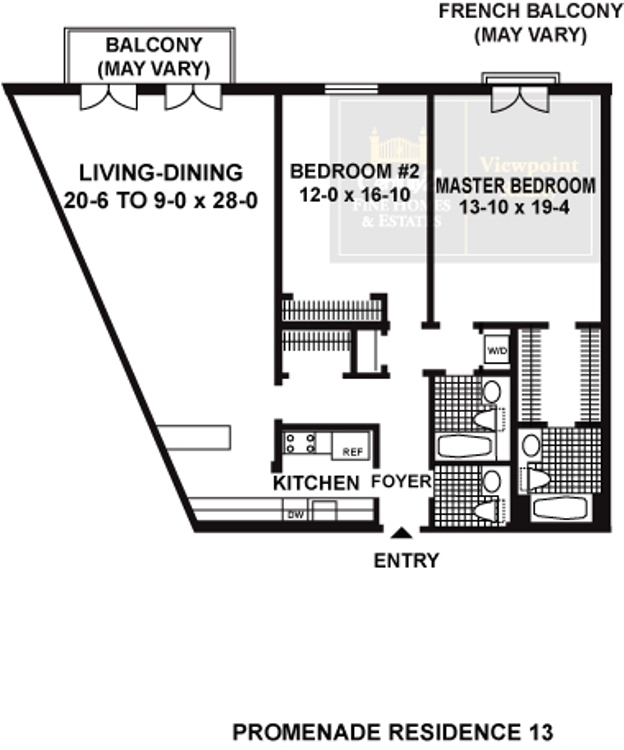 Phase I -- Promenade Residence #4 Two Bedroom, two bath condo with 1100 sf of living space. Maintenance includes heat, hot water and garage parking. 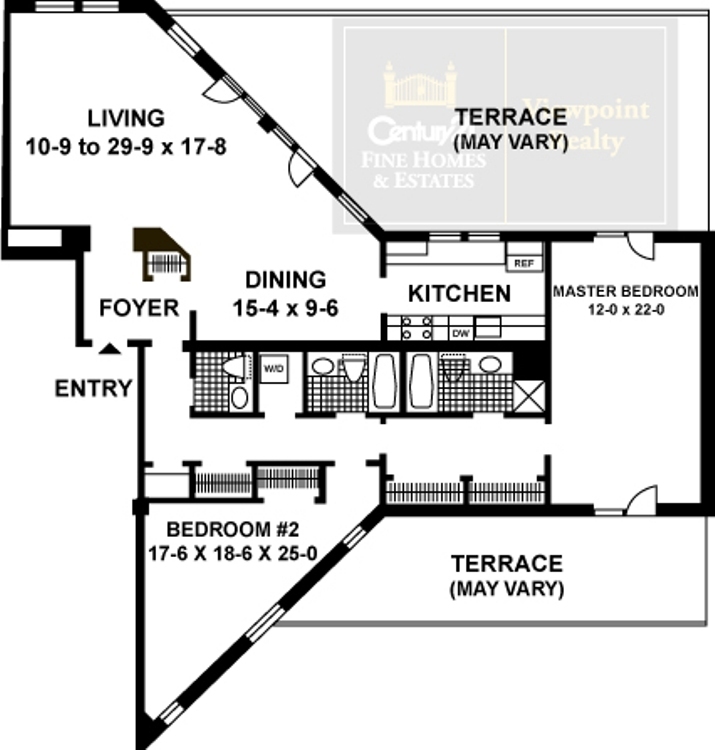 Phase I -- Promenade Residence #5 Two Bedroom, two bath condo with 1345 sf and balcony. Maintenance includes heat, hot water and garage parking. 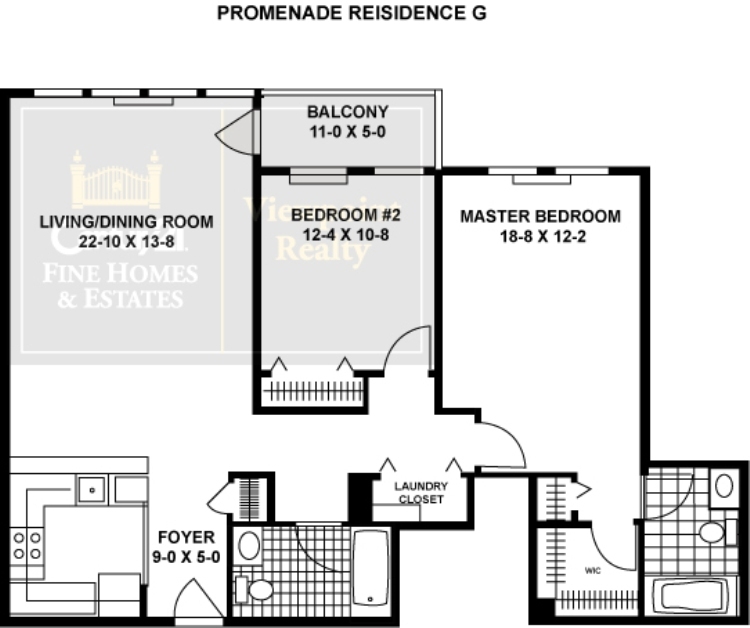 Phase I -- Promenade Residence #13 Two Bedroom, two and one-half bath 1495 sf condo with balcony. Maintenance includes heat, hot water and garage parking. 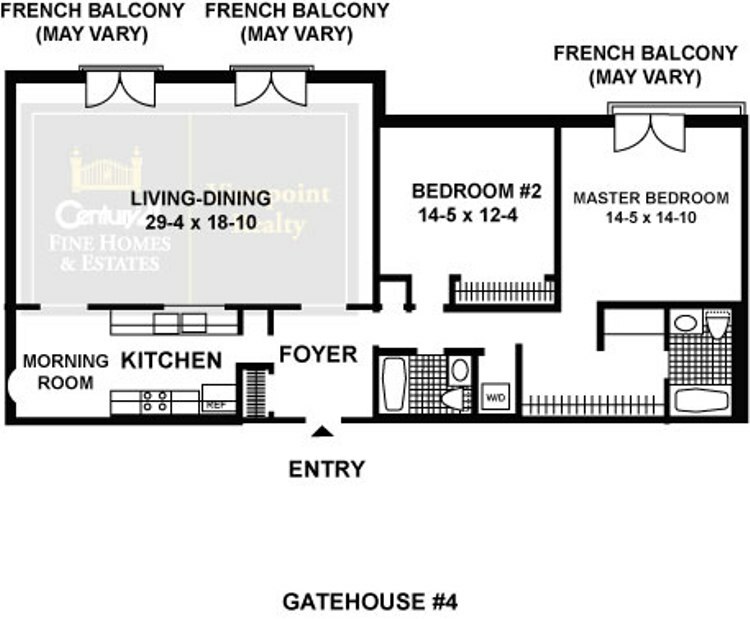 Phase I -- Promenade Residence #14 Two Bedroom, two bath 1460 sf condo with balcony. Maintenance includes heat, hot water and garage parking. 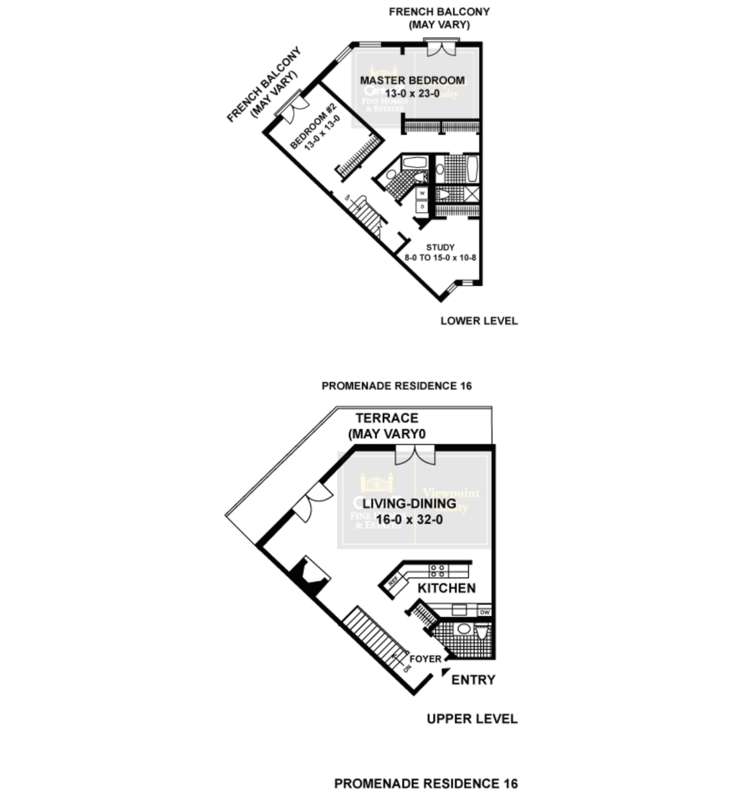 Phase I -- Promenade Residence #16 Two Bedroom plus Study, two and one-half bath 1730 sf Penthouse duplex with vaulted ceilings and fireplace. Maintenance includes heat, hot water and garage parking. 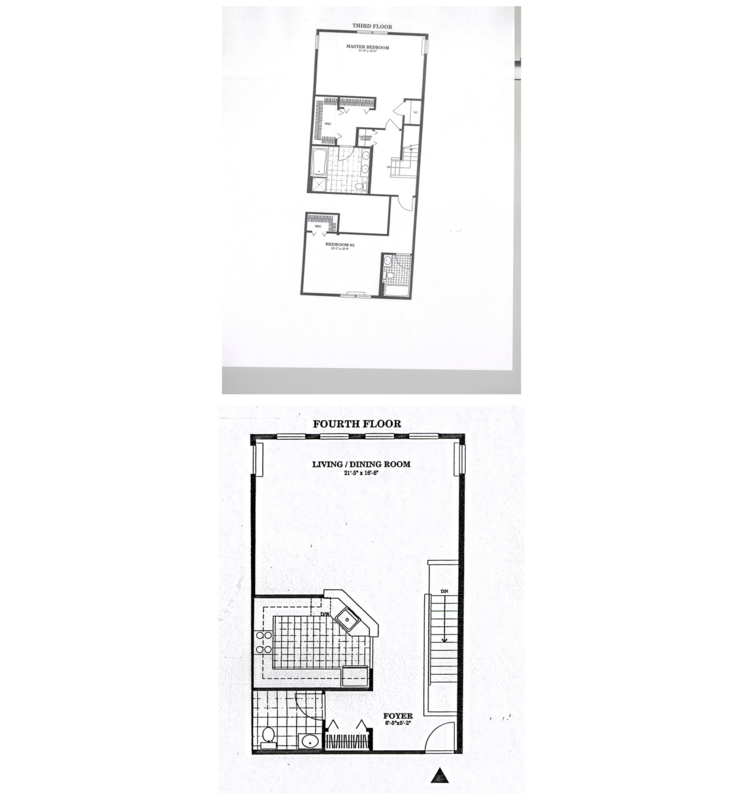 Phase I-- Canal Residence #9 Two bedroom, two and one-half bath unit on one level with 1625 sf of living space. 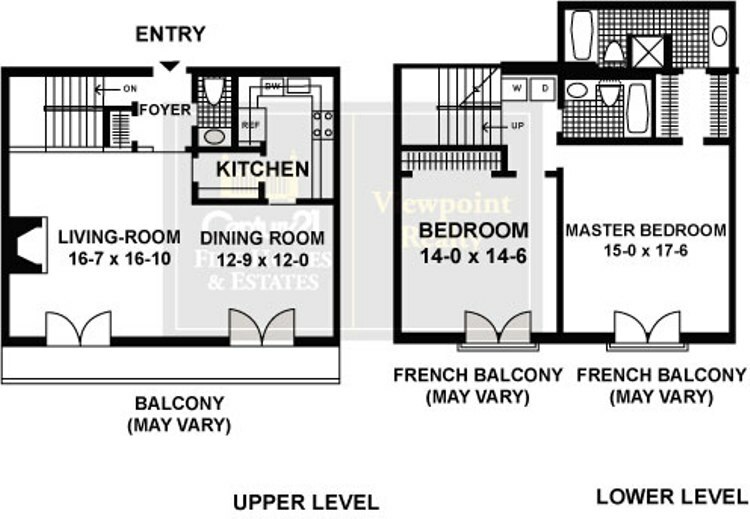 Features eat-in kitchen and balcony. Maintenance includes heat, hot water and garage parking. 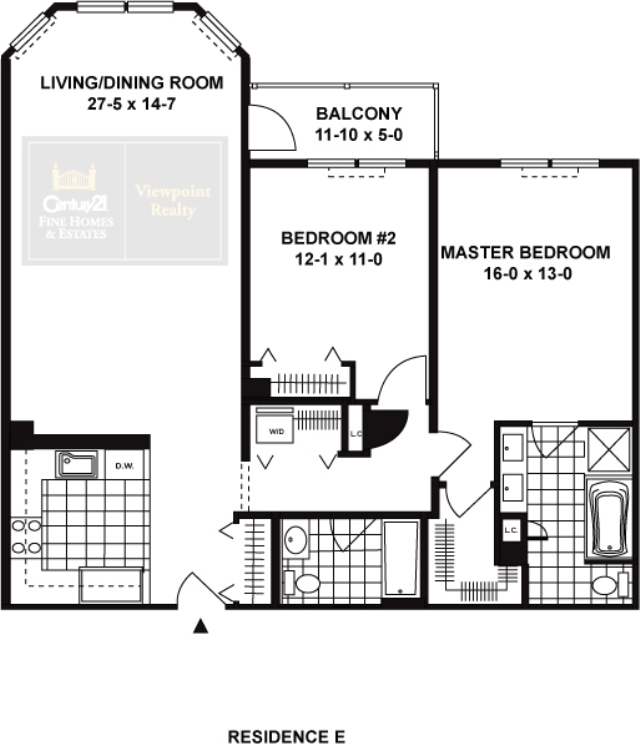 Phase I -- Canal Tower Residence #2 Two Bedroom, two and one-half bath 1605 sf condo. Maintenance includes heat, hot water and garage parking. 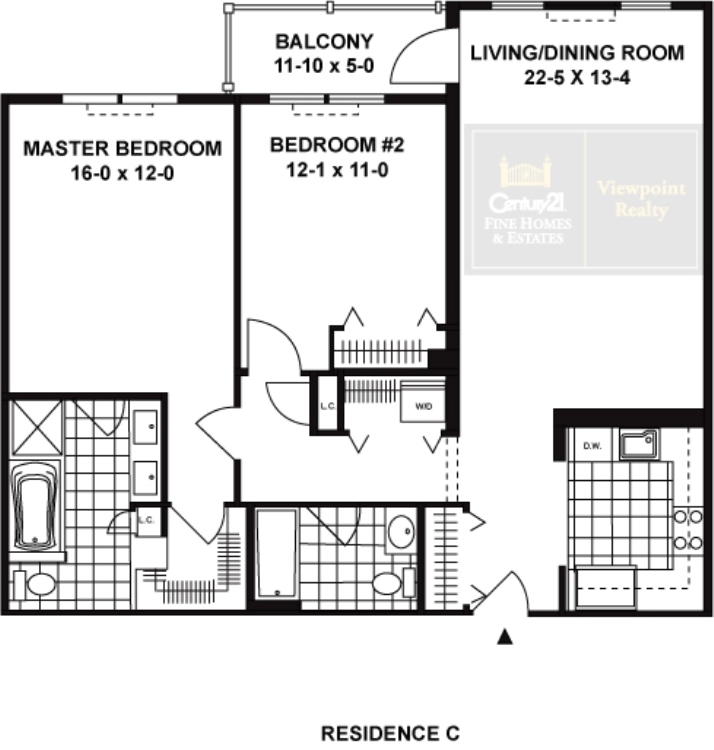 Phase I -- Canal Tower Residence #4 Two bedroom, two and one-half bath 1655 sf condo with balcony. Maintenance includes heat, hot water and garage parking. 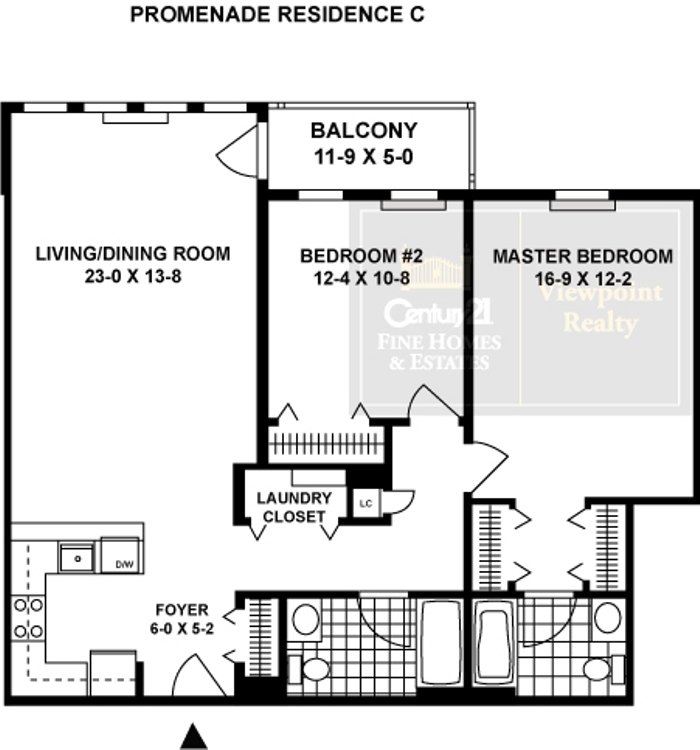 Phase I -- Canal Tower Residence #5 Two Bedroom, two bath 1205 sf condo with balcony. Maintenance includes heat, hot water and garage parking. 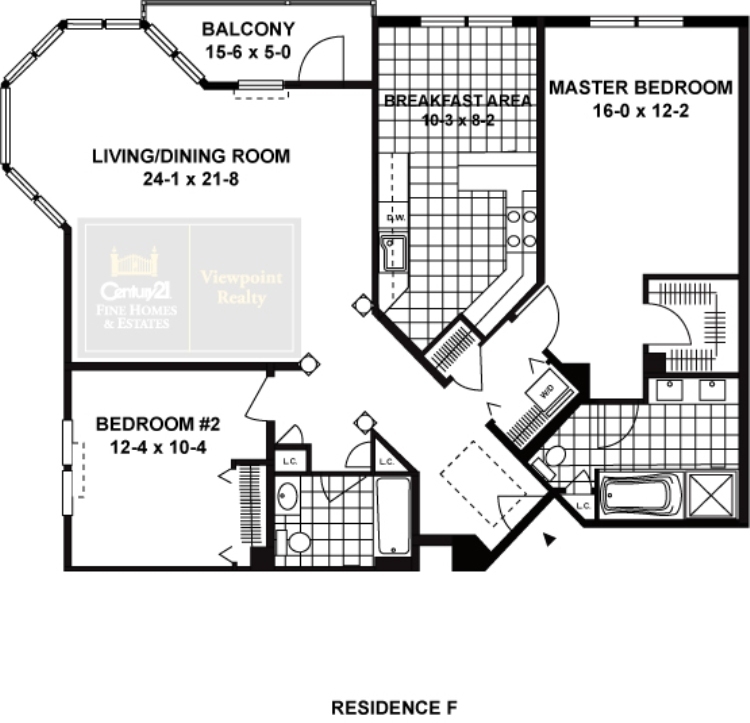 Phase 2-- Canal Residence K Two bedroom, two and one-half bath penthouse duplex located at One Independence Way. Maintenance includes hot water and one garge parking space. 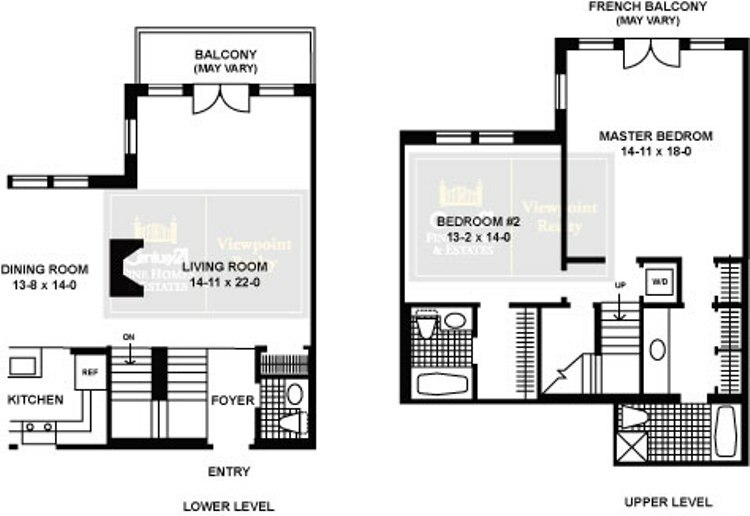 Phase 2- Promenade Residence C Two bedroom, two bath condo on one level located in 30 Constitution Way and 40 Constitution Way. Maintenance includes hot water and garage parking. 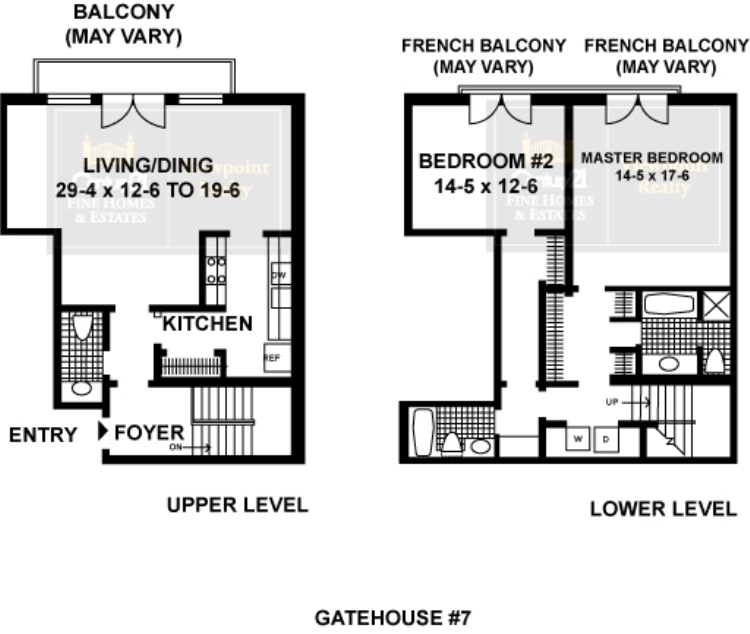 Phase 2- Promenade Residence G Two bedroom, two bath condo with balcony. Maintenance includes hot water and one assigned garage parking space. 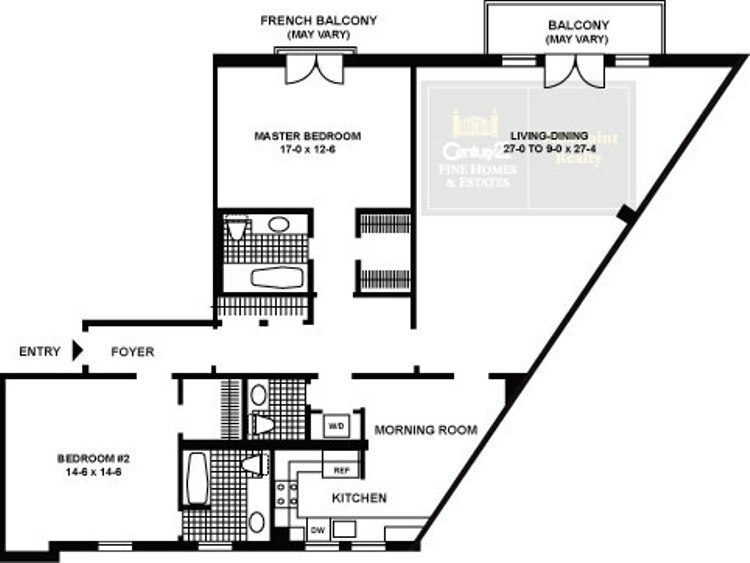 Phase 3 -- Residence C Two Bedroom, Two Bath 1230 sf condo with balcony. Maintenance includes hot water, cooking gas and garage parking. 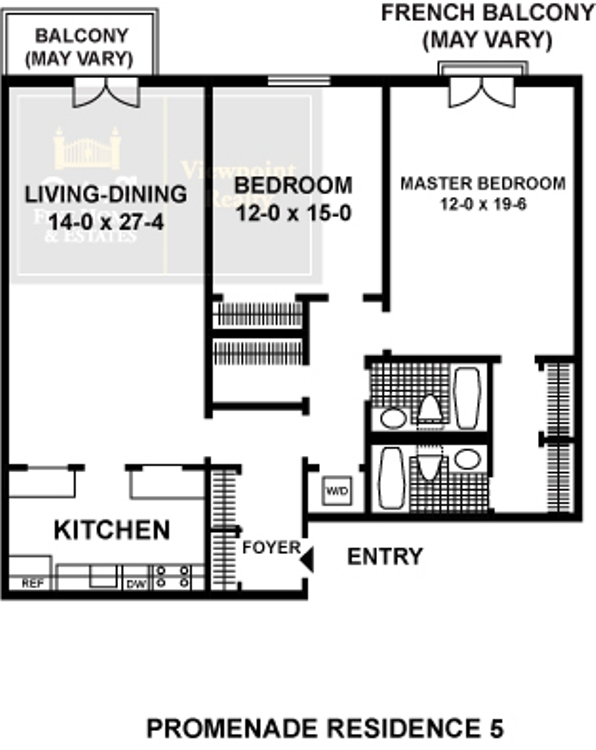 Phase 3 -- Residence D Two bedroom, two bath 1230 sf bay window condo with balcony. Maintenance includes hot water, cooking gas and garage parking. 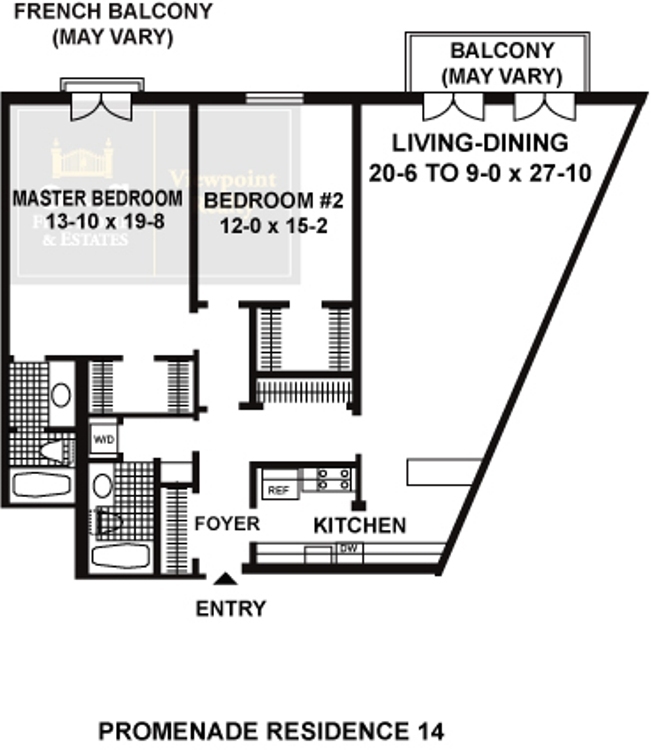 Phase 3 -- Residence E Two Bedroom, two bath 1269 sf bay window condo with balcony. Maintenance includes hot water, cooking gas and garage parking. 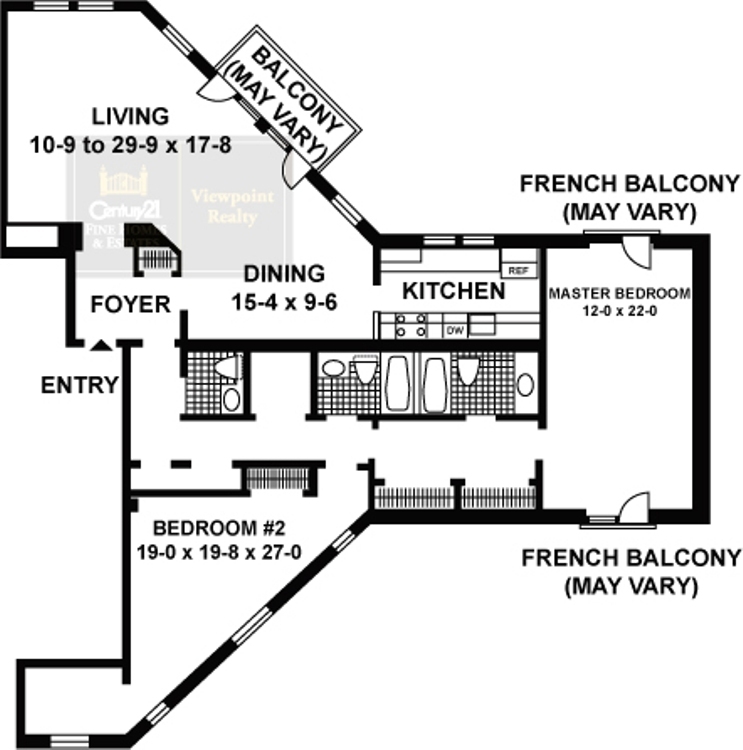 Phase 3 -- Residence F Two Bedroom, Two Bath 1510 sf corner condo with architectural turret, eat-in kitchen and balcony. Maintenance includes hot water, cooking gas and garage parking.